The dal-tile 12 in. x 12 in. 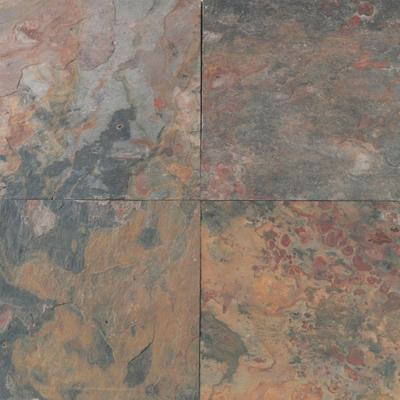 Sunset glory slate floor and wall tile is a rustic-style tile that looks great on walls, floors and countertops. It is made of natural slate stone and certified by the marble institute of america. The marginally skid-resistant tile is best suited for standard residential applications. It is frost resistant, so it can be used indoors and outside. You can buy this product in our internet market. We will be glad if you make the right choice.